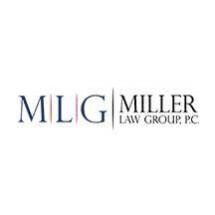 For over 90 years combined, the attorneys and staff at Miller Law Group, P.C. have secured the future for hundreds of clients throughout the state. As a renowned Massachusetts family law firm, we have been instrumental in helping couples create mutually-beneficial divorce agreements, have fought for children to have strong parenting plans, and have affirmed the rights of mothers and fathers alike. Our commitment to our clients shows in each of our strategies and approaches. When you and your spouse want to work out an agreement, we’re the collaborative ally you need. When your future is in the hands of a spiteful or combative ex, we are the aggressive and tactically-skilled team you want in your corner. Working with a team of forensic accountants and experienced investigators, you can be sure that your case will be in the strongest possible position when we’re through.